Holiday Swap was founded by James Asquith, who set the Guinness World Record for being the youngest person to travel to every country in the world before the age of 25. After visiting every county in the world, James aimed to make travel more accessible and cheaper for everyone. That's when the idea of Holiday Swap was born. 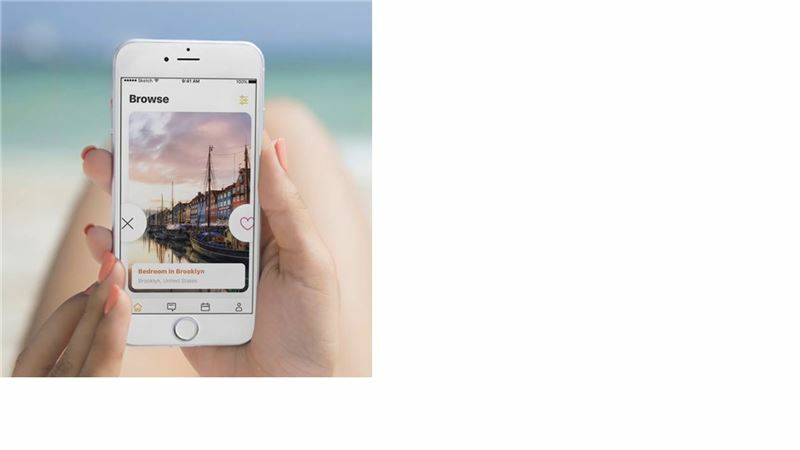 Built around millennials, allowing for users to use their place as an asset in today's growing sharing economy, the app allows us to take out the largest cost of travel, the accommodation. 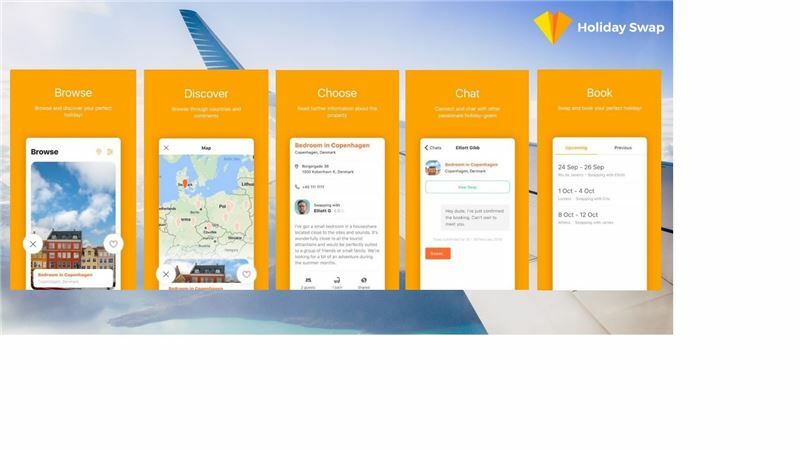 The app not only allows for you to securely swap your accommodation anywhere around the world, but has a revolutionary 'Always Bag Packed' feature which allows for endless travel opportunities. 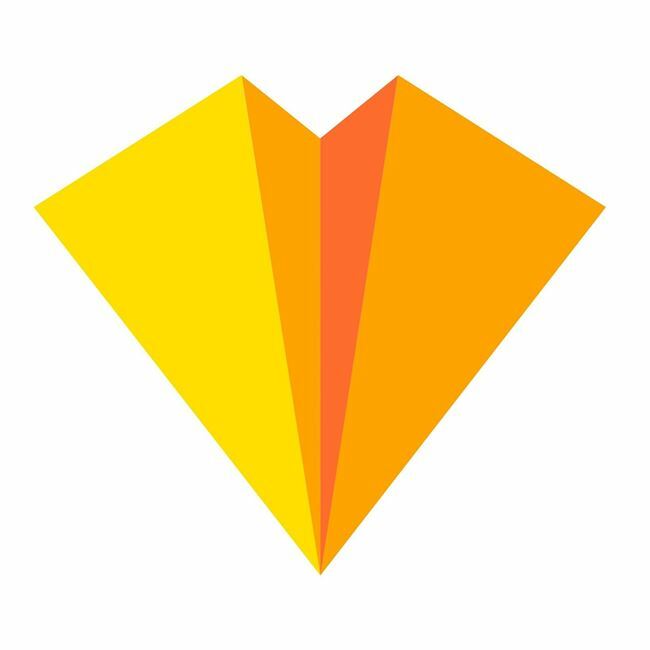 This allows you to match up with anyone around the world, and make connections that allow you to swap your accommodation on dates that suit you in the future. Discover more destinations and more countries than you ever imagined, for less. 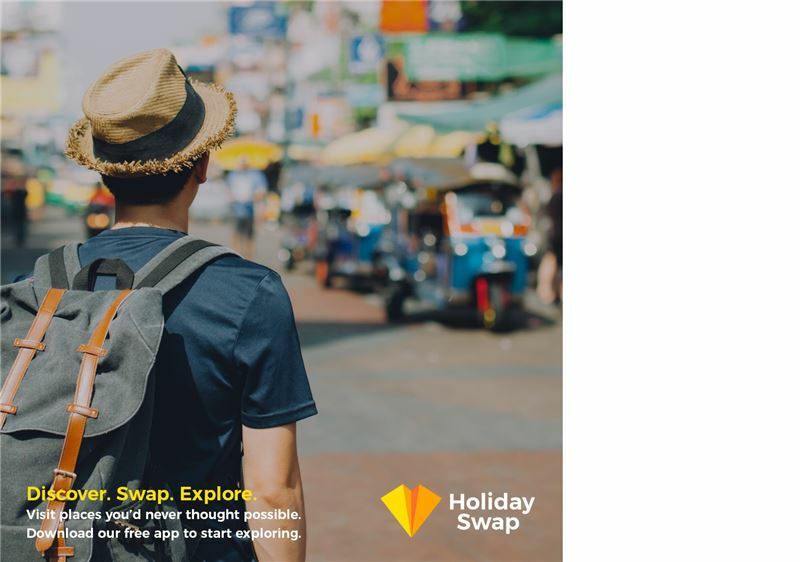 Holiday Swap chat feature means that we don't just offer secure accommodation swaps, but we are the first truly global social media app for like-minded travellers and explorers. Swap your space with anything from a couch to a villa. With no subscription fees, and just $1 per night, try the Holiday Swap app for free today. Filter your settings and swipe through properties across the world to see whom you could match up with. In-built chat feature that allows you to chat with users around the world and decide if you are a match to swap. Optional deposit system gives you peace of mind should any damage be caused in your property. Get notifications when another traveller likes your property and decide whether to match with them or not, through our powerful search engines.